At last year’s CES, La Poste announced its commitment to promoting the development of e-health in France. Since then, it has signed a number of partnerships with public and private health establishments and organisations interested in La Poste’s eHealth app and its digital ecosystem. 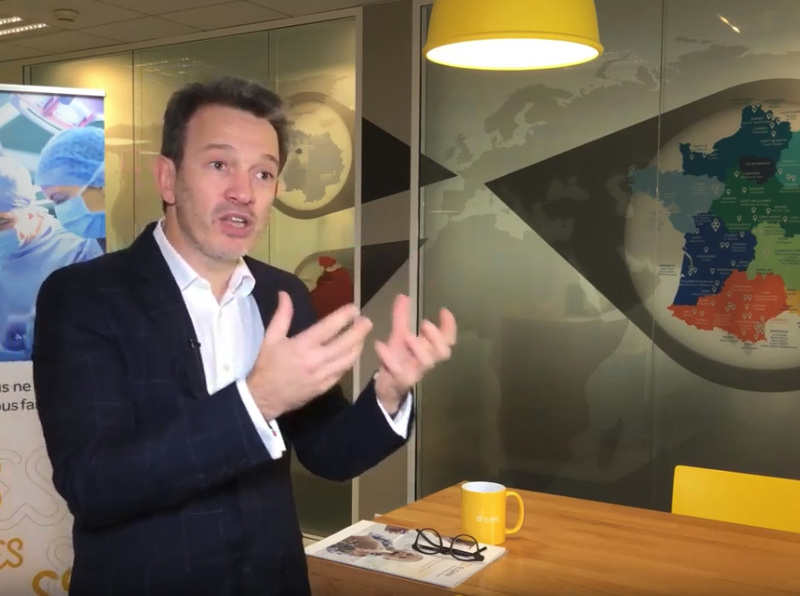 La Poste shares two objectives with its partners: to make healthcare pathways more efficient, and to simplify life for patients and healthcare professionals alike. With an ageing population, the rise in chronic diseases, social inequalities and regional disparities, one of the key challenges facing our healthcare system is to rebalance access to healthcare between areas of high medical coverage and those where access to GP services is inadequate, and to support living well at home. Unparalleled in terms of local services, La Poste can contribute to a healthcare system that is closer to patients.It does this thanks to its postal employees throughout France, and by taking advantage of a key feature of digital technology: the opportunity for a permanent information exchange between patients and healthcare professionals via connected healthcare objects or an instant messaging service. La Poste eHealth allows patients to be supported at every stage of their healthcare pathway, from the first medical appointment to the post-hospital follow-up. This is the primary aim of La Poste eHealth, a mobile app developed by La Poste’s Docaposte subsidiary . Downloadable free of charge from the Android and iOS stores, it enables any user to compile, track and share all their health data, while receiving personalised advice every day on keeping fit and healthy. The app also makes it possible to interact with healthcare professionals (doctors, hospitals, pharmacists, insurance companies, etc.) as part of a disease prevention or healthcare pathway. It complements the shared medical record (DMP) offered by France’s social security health insurance. Private individuals can use La Poste’s free eHealth app. For health professionals, there is the Digital Healthcare Centre. 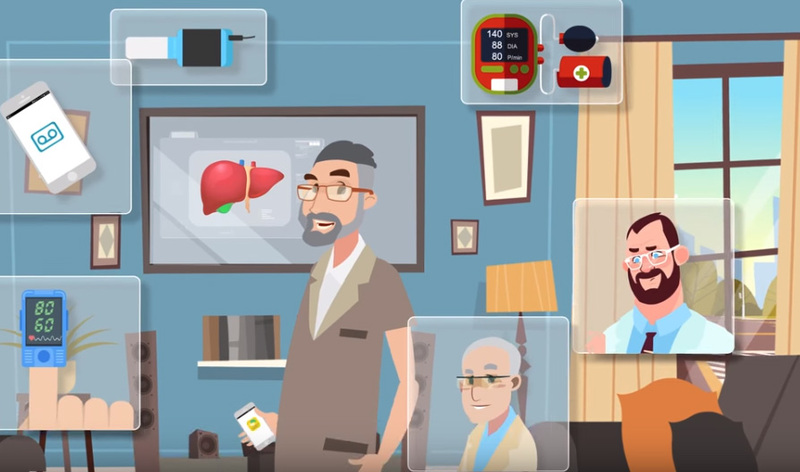 Find out more about the e-health ecosystem developed by Docaposte, a subsidiary of La Poste. To ensure that as many people as possible benefit from its solution, Docaposte has signed partnerships with a number of key stakeholders, including hospitals, clinics and laboratories, for which e-health currently represents the safest, most effective way of monitoring patients throughout their healthcare pathway in terms of disease prevention, medical tests, diagnosis, surgery/treatment, home care, and more. La Poste eHealth provides an end-to-end interface for the patient-therapist relationship. 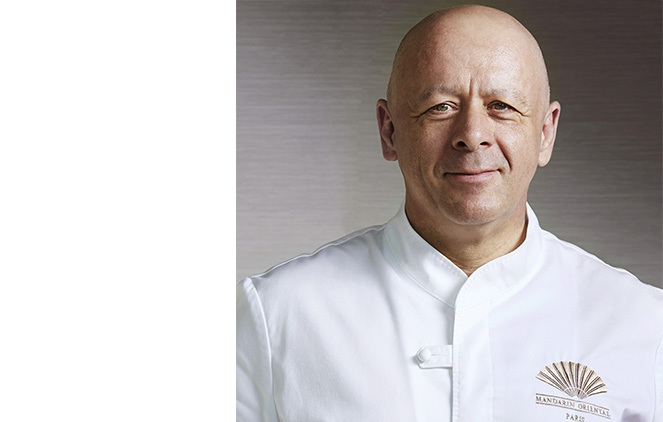 La Poste has joined forces with Michelin-starred chef Thierry Marx and the Greater Paris regional council to set up a disease prevention programme centred on healthier eating for all. To this end, La Poste’s eHealth app will incorporate “nutrition and well-being” content aimed at preventing disease or supporting treatments. This content will be tested in real-life situations, at the Institut Rafaël, the post-cancer facility founded by Professor Alain Tolédano. This programme forms part of an approach unprecedented in France, known as “region of solidarity". By acting on the determinants of health, such as access to sport, disease prevention, education, housing and healthier eating, the Greater Paris regional council aims to create a dynamic capable of improving its inhabitants’ health in the long term. Biomedical tests are often a prerequisite to a patient’s care and follow-up from a healthcare professional.To make it easier to store, archive and share results, Cerba HealthCare decided to connect the terminals in its network of test laboratories to the ultra-secure La Poste eHealth infrastructure.This means that patients can view their test results on La Poste’s eHealth app and then send them to their doctor, who can examine them and easily compare them with previous tests. 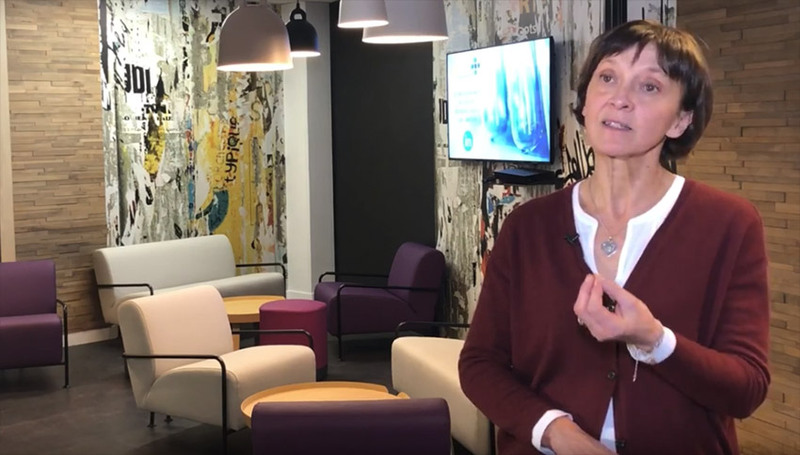 “A strategic convergence and complementarity of expertise” is how Catherine Courboillet, CEO of Cerba HealthCare, describes the partnership with Docaposte. We consider it important to provide health professionals not only with test results, but also with an interpretation of these results together with advice on patient care. In 2017, the Bichat hospital (a leading hospital in developing e-health for all of AP-HP, the Paris public hospital system), was the first large hospital complex to connect to La Poste’s eHealth app for follow-up of lung transplants. The Bichat hospital aims to construct the first platform for evaluating and analysing healthcare data derived from connected objects. The clinical research programme in bariatric surgery at the Strasbourg IHU (university hospital) consists of studying inputs from digital technologies and health-related connected objects (scales, oximeters, thermometers, activity trackers, blood pressure monitors, etc.) as part of the treatment and medical follow-up of patients suffering from hyper-obesity. The IHU has teamed up with Docaposte to develop an e-health app which simplifies and improves their day-to-day care. One of the app's primary functionalities is to send notifications to the patient’s smartphone whenever they need to measure and send their health data, and the professional is notified if a value exceeds a threshold determined in advance with the patient. With the testing phase currently under way, the clinical study will be carried out from January 2019 with some 30 patients, with the initial results expected in the middle of the year. 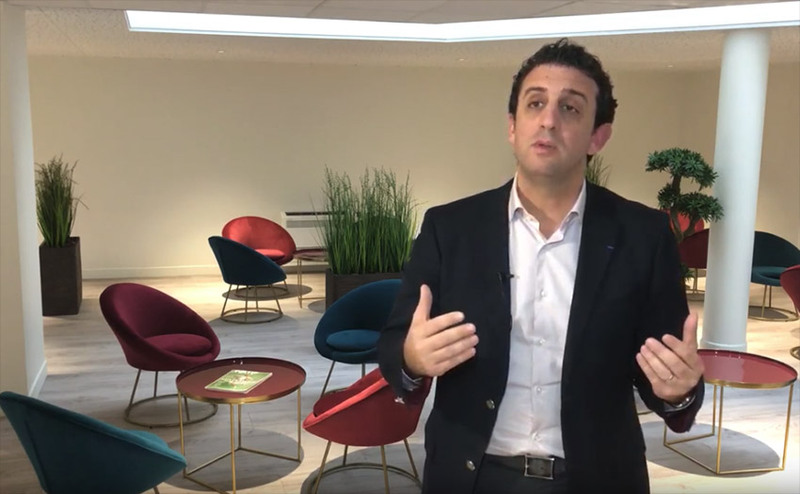 One year after signing their strategic partnership agreement, Docaposte and Elsan, France’s leading group of private clinics, announce the launch of version one of ADEL, Elsan’s Digital Assistant, for the first quarter of 2019. With this mobile app, patients of a number of the Group’s clinics will benefit from personalised digital and human support throughout their healthcare pathway, from admission to remote medical follow-up. They will be able to stay connected at all times, informed, and in contact with Elsan’s medical team, and to ask questions about preparations for their surgery, their hospital stay, the operation, their return home, and the medical follow-up. Thierry Chiche, Elsan CEO, talks about the ADEL mobile assistant, the product of a partnership with Docaposte. We complement each other perfectly. Elsan has medical expertise. Docaposte has expertise in constructing digital tools and hosting data. The Institut Rafaël, the post-cancer facility led by Alain Tolédano, signed a partnership with Docaposte in November 2018 which helps to simplify life for patients and healthcare personnel. On arrival at the Institut Rafaël, patients are invited to download and create a confidential personal account on La Poste’s eHealth app. Patients benefit from a programme of home-based follow-up provided via the app, including a secure message service. The health data collected are shared with the healthcare professionals at the Institut Rafaël. They can also be shared with other practitioners of the patient’s choice. For their part, the healthcare professionals at the Institut Rafaël are provided with a portal for collecting, compiling and sharing between themselves the patients’ data, which is critical for optimal care during the post-cancer phase. The information stored totally securely by Docaposte can, with the patient’s agreement, be fed into research programmes to assess the medical benefits of this integrative medicine and to achieve significant progress in the fields of cancer prevention and follow-up care. Doctor Alain Tolédano, co-founder of the Institut Rafaël, explains the role of La Poste eSanté in his plans for integrative medicine. By delegating repetitive tasks to digital tools, doctors are able to spend more time with their patients. This is indispensable to effective patient care. On 20 October, Docaposte signed a partnership with pharmaceutical laboratory Arrow, a pioneer in digital healthcare services. This aims to give pharmacists a greater role in coordinating patients’ healthcare pathways by giving them access to a multi-professional e-health platform (hospitals, clinics, biomedical laboratories, GPs and medical specialists, etc.). In practice, patients using La Poste’s eHealth app allow their pharmacists to access some of their health data. The information provided enables pharmacists to offer their customers better advice, and even to amend the medical prescription: age, weight, vascular risk, other current treatments (drug interactions), known contra-indications, etc. La Poste’s local services help to facilitate home care: its Asten subsidiary can install medical equipment in patients’ homes, there is a meal delivery service, and medication can be delivered by mail carriers. And since the 2019 CES, Mes Médicaments Chez Moi (My Medication At Home) can be added to this list, together with Connected Remote Assistance, an autonomous detection system to complement the Watch Over My Parents offer. A La Poste subsidiary specialising in digitisation and electronic archiving, Docaposte is France’s leading health data host.